Yesterday I was down in the dumps and in need of a pick me up. I guess being back at work after a week off with my family has brought me down. Over the weekend I was watching the trailer for a documentary/reality movie called “Snow on tha Bluff”. In the background there’s audio clips from Muhammad Ali, Rocky, and Coach Carter. It’s amazing and watching it got me going today. I’m ready to conquer the day. If you want to watch the entire trailer thing follow the link. Hope this gets you going today too! 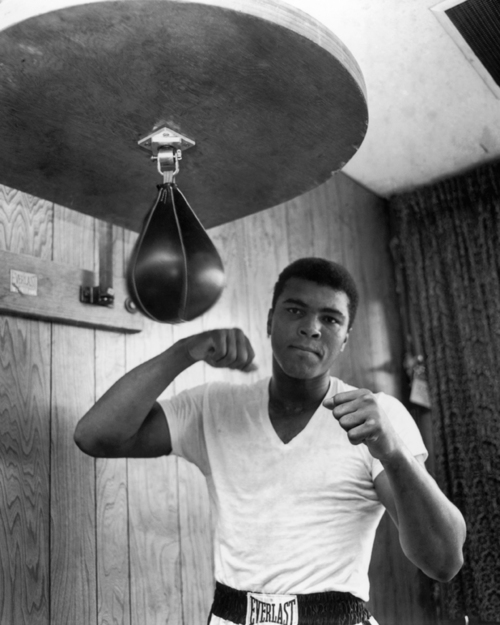 Love the shots of Ali. 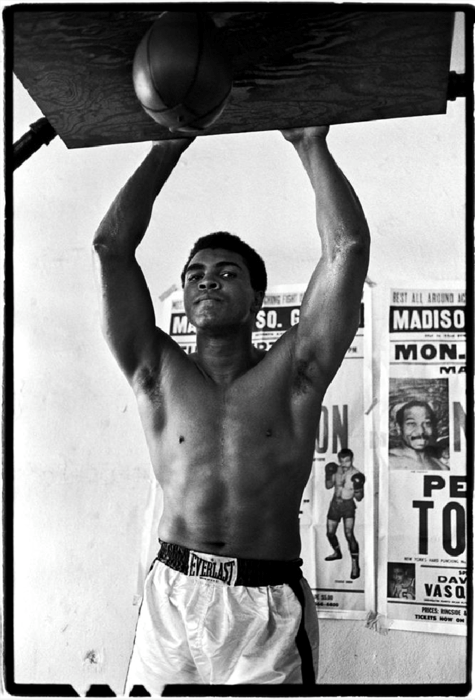 I have a poster in my office of Ali Standing over Sonny Liston. Knocked him out – first minute, first round. When Ali lit the Olympic flame in 96, it was one of the greatest sports moments ever. When I was a kid I had the Ali/Fraser action figures. I also remember when you could watch prize fights on regular TV.